Think 1969, and you’ll be thinking of the genesis (pardon me) of many great prog acts, some might even say the progressive movement in general. Unfortunately, Little Free Rock was not to become one of these acts, due to poor handling on the part of Transatlantic records, but they still acquired a cult following. Esoteric Recordings have reissued this Preston-born, London-based band’s album, and it is about time for a reassessment. It’s fair to say that Little Free Rock take their cues from Cream and Hendrix, with some American panache à la The Doors about them. Unlike some of the more inventive trios, however, their music is rather unvaried: bass, guitar and drums only get you so far. The most interesting moments on the album are when guest Tim Hinkley adds a few Mellotron notes that lend a cinematic atmosphere to certain portions of the songs. Had Mr Hinkley been a full-time member we might have had a much more engrossing album. Despite the rather rigid sound, the songs themselves are clearly quite thoughtful, rarely sticking to a verse-chorus structure, and incorporating a few meaningful solos. The album itself has a good flow too, with the spaces between songs, such as Roman Summer Nights and Lost Lonely, seeming almost expertly timed. Despite apparently having an arduous time in the studio recording, the band do sound passionate about their music. 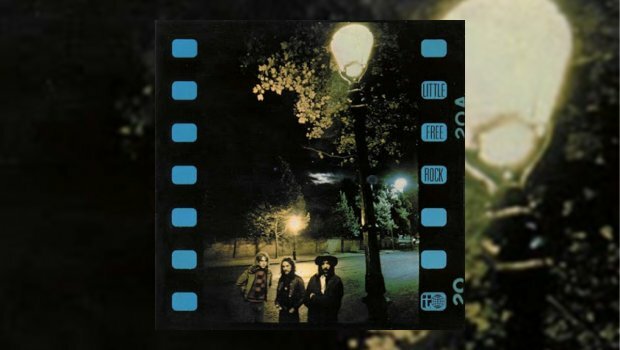 In their frustration to finish recording, they left in a brilliant flub in their ten-minute cover of Making Time by the Creation: one of Paul Varley’s sticks breaks mid-drum solo and the broken section hits a tom. This is fully audible as Paul quickly improvises by tapping out an expert rhythm on the cymbal. As for the solo itself, John Bonham he ain’t, but kudos for the improvisation. Unfortunately, Esoteric’s reissue is not on the same standard as their usual fare. Malcolm Dome’s essay is a decent read, if a tad long, though I do feel the assertion that the album could “have surely been hailed as a master record of the era” is a bit of a misstep. 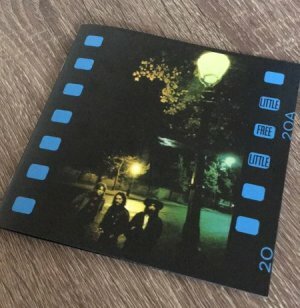 No bonus tracks are present, despite some mention in the notes of demos that sounded “better than the versions on the actual Little Free Rock album.” But perhaps the most obvious slip-up is right on the cover, where the word “Rock” has been replaced by “Little” so that the title reads ‘Little Free Little’. D’oh! This isn’t an essential purchase by any stretch, but a neat curio from the late ’60s all the same.